Franklin, 11 vs. Falmouth, 6 – Final – Franklin coach Lou Verrochi said junior Eric Civetti was unstoppable and sophomore Jacob Alexander dominated in the face off X to pace the Panthers past a senior-laden Falmouth side. Civetti scored five goals and had two assists while Alexander won nearly 80% of the draws. 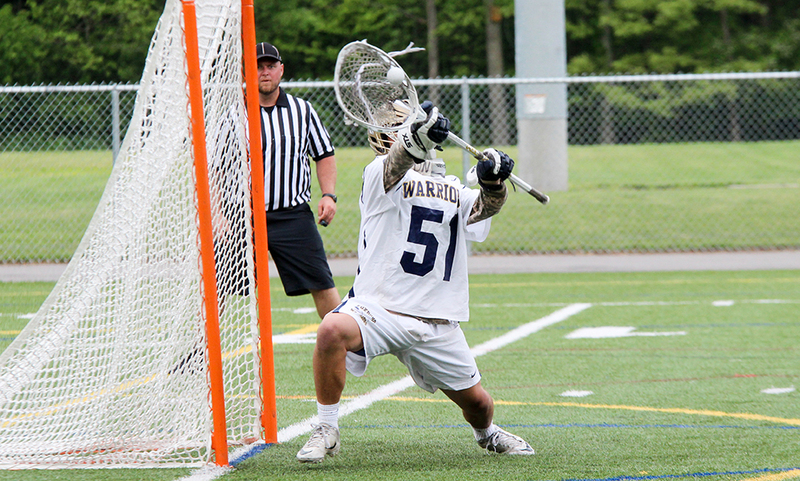 Junior Connor O’Rourke made 10 saves in goal and Verrochi said Wyatt Arsenault, Patrick Morrison and Spencer Briggs played very well defensively. Verrochi added LSM Jack Platner, short stick defensive midfielder Will Harvey and Aaron Mallo all played well. Chase Tanner scored twice and added an assist, Sam Arsenault had a goal and an assist, Packie Watson notched two heklpers and Kyle McEniry, Nitin Chaudury and freshman Jake Davis each scored once. Franklin, 12 vs. Needham, 7 – Final – Franklin led by just a goal (6-5) at halftime but had a very strong second half to open the season with a win over the Rockets. Freshman Erin Walsh impressed in her debut, netting a team-high four goals to pace the Panthers. Classmate Gianna Cameron also had a solid debut in goal, registering 10 saves in net. Halle Atkinson added three goals and Kendall Reardon notched two goals and an assist. Head coach Kristin Igoe Guarino said senior Grace McDermott played well defensively with five caused turnovers. Taunton, 4 @ Coyle & Cassidy, 1 – Final – The Tigers opened the 2017 campaign with a victory over rival Coyle, taking wins at first and second singles and both doubles. Sophomore Brett Beaulieu won 7-6, 6-2 at first singles and junior Mike Briggs took a 7-6, 6-0 decision at second singles. The team of sophomores Charlie Fisk and Dylan Kullas won 6-4, 6-0 at first doubles and sophomore Trevor Hart and junior Kyle Dennehy teamed up for a 6-4, 6-3 win at second doubles. Taunton, 5 vs. Coyle & Cassidy, 0 – Final – The Tigers started the season with a clean sweep of rival Coyle at home on Thursday afternoon. Olivia Sweeney (first singles) and Jordan Pagliuca (second singles) both won 6-0, 6-0, while Jillian Pagliuca won 6-0, 6-1 at third singles. The teams of Emily Moor and Caroline Hebert (first doubles) and Jordan Martin and Vanessa Rosa (second doubles) each won 6-1, 6-0. Taunton, 3 vs. Braintree, 0 – Final – Taunton picked up the sweep (25-22, 25-19, 25-21) over the Wamps to begin the season. Junior Lance Law paced the offense with nine kills, four aces and two blocks while adding 11 digs. Nate Grant finished with 20 assists and three kills and Lens Esquil had six kills, an ace and a block for the Tigers.